Food, and food trends, are constant. There’s always some hot new dish, cooking technique, diet, or gadget that people need to get their hands on. And currently, the sous vide is all the rage. 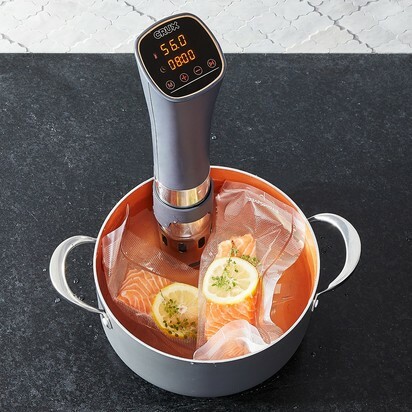 A combination of technique and tool, the sous vide has been optimized using some of the most modern technology. The French name may sound a little intimidating, but don’t let it put you off. Meaning “under vacuum”, the sous vide cooking technique uses vacuum sealing and precisely heated water submersion to beautifully cook food. Sound complicated? It’s not—or at least, not anymore. Sous vide isn’t just for upscale restaurant kitchens anymore. It’s an approachable tool and technique, and can be easily implemented into home kitchens everywhere. Sous vide is the name for the cooking technique, but also the name of tool used to achieve it. The technique, in theory, is simple: vacuum seal food with its marinade or seasonings and immerse the sealed bag into a temperature controlled water bath. Let the food sit in the hot water bath for the allotted amount of time, and your food will be cooked all the way through at the exact temperature of the water. The risk of overcooking is minimal, even if you leave the food in the water for hours after the timer tells you it’s ready. Sous vide is a slow, gradual cooking process. Because of the vacuum seal, the food’s juices have nowhere escape and are reabsorbed back into the food, making the finished product exceptionally moist and tender. 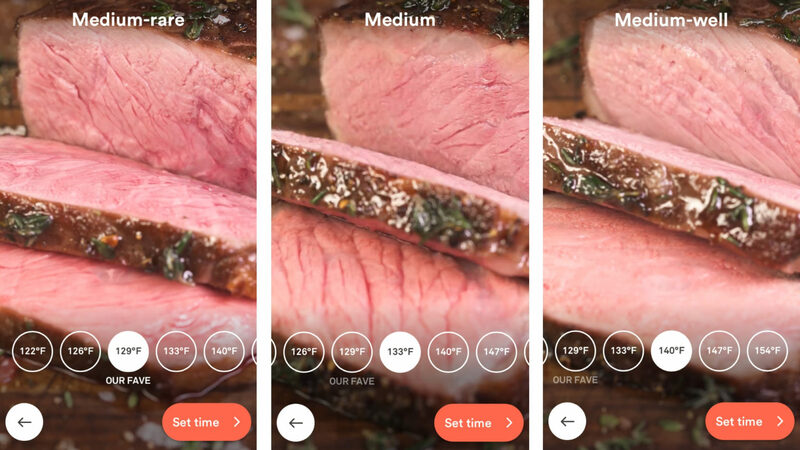 Visual doneness guide settings from the ChefSteps Joule app. Once the food has reached your desired doneness, you can add a very quick sear at very high heat on your stovetop or grill. Don’t spend too much time searing, otherwise you’ll risk overcooking your food. But how do you control the precise temperature of the water? That’s where the sous vide tool comes in. You can try to adjust hot water temperatures manually on your stovetop with a thermometer, but it will need constant vigilance to ensure the temperature doesn’t drop or go too high. Sous vide does all the work for you. 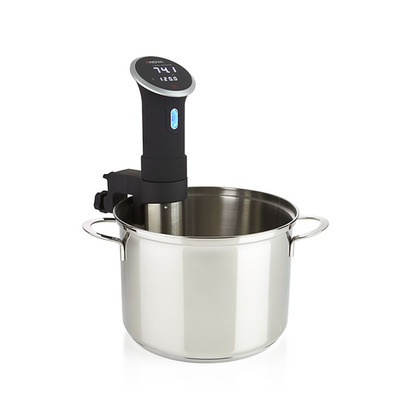 You set the desired temperature for internal cooking, and the sous vide controls the cooking by heating and circulating the water to maintain its temperature. They even have timers to let you know when your food is ready. There are several claims to the invention of the sous vide. Most will say that the technique was coined in the 1970s by two famous french chefs, Bruno Goussault and George Pralus. 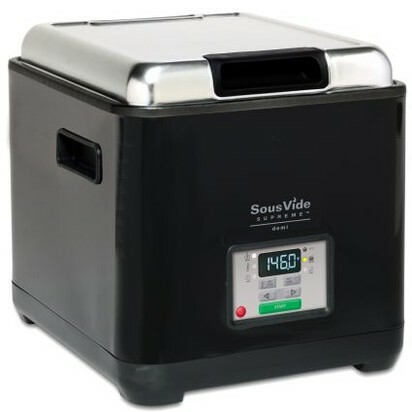 Although Goussault and Pralus can be credited to bringing sous vide to mainstream restaurant kitchens, many actually claim the technique was invented by an American. Ambrose McGuckian, a retired Army colonel and then president of AGS Food System, Inc., claimed in a 1969 journal that vacuum sealing food and then boiling it optimizes flavor, especially in mass production. His ultimate goal was to improve the quality of hospital food service. Cryovac, the company whose plastic bags McGuckian used to test his theory, also claims ownership of the technique since McGuckian was a contractor at the time. Cryovac vacuum sealers, to this day, are still common in restaurant kitchens for storing food, and in some cases, for sous vide. Due to quantity of production and food safety measures, the Cryovac machine makes sense for restaurant kitchens. The container that holds the water (usually made from polycarbonate or a deep, metal hotel pan) is larger, and the sous vide machine itself is more powerful than the home variety. This commercial sous vide demo is a great example of the apparatus set-up and the cooking technique itself. It wasn’t until sous vides were finally seen on television by chef Wylie Dufresne, that the sous vide finally entered the minds of home cooks. Although commercial sous vide machines can cost up to several thousand dollars, more and more companies began manufacturing affordable home versions. Most home sous vide machines are compact and can be easily stored in a kitchen drawer. The container that holds the water can be anything from a mixing bowl to a large pot, depending on what you have in your kitchen. Even a clean, sealed sink can do the trick in a pinch. You don’t need a Cryovac machine to vacuum seal your food, either. A sturdy zip-tight bag with excess air pushed out with the water displacement method works perfectly. A binder clip, chip clip, or clothespin holds the bag over the edge of the container to keep water from getting inside. Many machines themselves can be programmed through digital screens buttons, or even through a WiFi or Bluetooth connection and mobile app. This means that you can check temperatures and water levels, make adjustments, and even choose from pre-programmed guides without even being home. 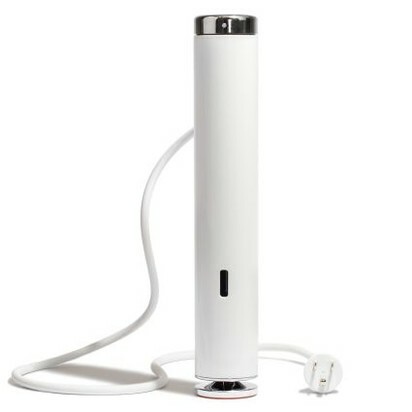 Some home sous vide machines are all-in-one, meaning the container and water circulator are an individual unit. This means, of course, that it takes up more kitchen storage real estate and you have no control over the size of the container you use. It could be too big for one fish filet, or too small for a full rack of ribs, for example. Our picks for our favorite sous vide machines includes analyses of real customer reviews, user experiences, and overall value. It doesn’t matter if you’re a seasoned chef or just getting started, cooking sous vide is accessible for everyone. No matter your kitchen size, your food preferences, or skill level, there’s a perfect sous vide for everyone and every registry. The sous vide is one food trend we can get behind. 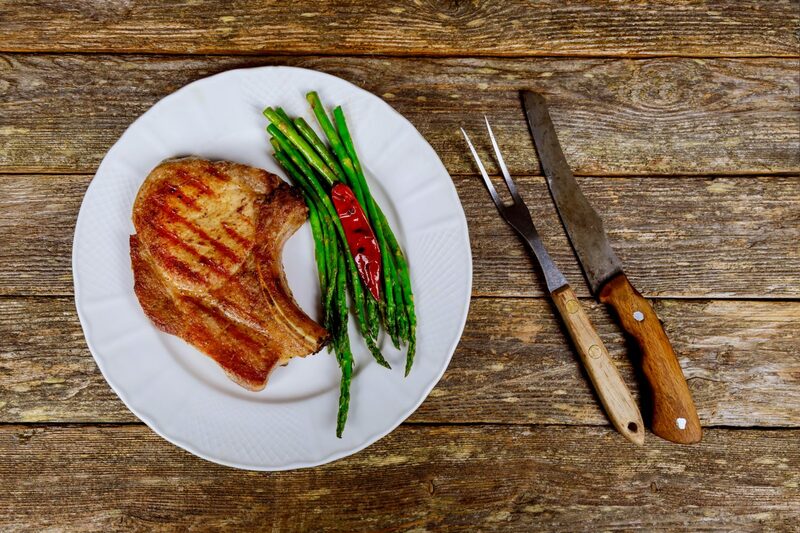 What are some of your favorite dishes that can be cooked with a sous vide? Tell us all about them on Twitter, Instagram, and Facebook.